This necklace is perfect to keep you or a loved one safe on their travels. What could be more cute! The St Christopher charm measures 1cm in length and is made of brass with a gold plate. 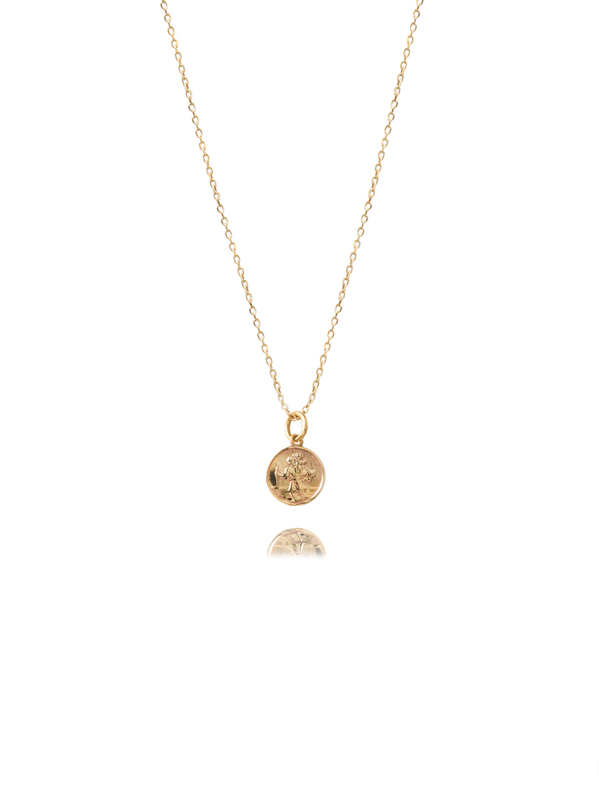 The necklace is solid sterling silver with a flash coating of 23.5KT gold. The trace chain adjusts to three different lengths, so is ideal to wear with other chains to get the layered look.